The cooler weather we’ve experienced this spring and summer has made it tough for salmon and trout anglers on Lake Ontario’s north shore. I began salmon fishing in early June with Captain Mike Snow, who runs salmon charters out of Port Credit, Ontario, and have been on the lake since. June is when charter businesses out of the GTA get busy. And, being out in the blue zone more than a handful of times this year, I have noticed a lot of bait being marked, and a lot of hooks on the graph that were not willing to strike hardware! I’ve come to a conclusion that most of the fish out there have stuffed themselves quickly because of the really thick schools of baitfish we’ve been marking on our fish finders. However, I’ve also noticed that the bigger and more willing fish this year came on Pautzke’s Fire Brine cured alewife, anchovies and herring trolled slowly behind big flasher boards. Fish that were not able to stick on the hooks after striking the cut-bait left barely any meat on the teaser heads. 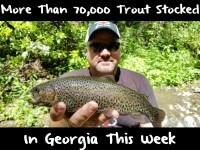 I’ve witnessed salmon and trout don’t just go for brined baits, they absolutely crush them! Brining is just like curing. It is a simple way to preserve and get more life out of our bait. Brining not only toughens the outside of your bait, but it adds colour and scent to make your natural baits much more vibrant and appealing when being presented in the waters you fish. Pautzke has seven different fish-catching colours of Fire Brine to choose from. Before you can start the brining process, you need bait you are going to cut or run whole. You can either buy your cut-bait whole or frozen, or catch bait on your own in your nearest estuary. 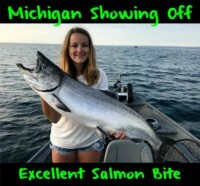 Alewife, anchovy and herring are the most popular baits offshore salmon and trout fishermen have in their bait cooler when fishing Lake Ontario’s north shore. I was able to time an alewife run in a friend’s marina not too long ago and we managed to catch a whole bunch to brine using Fire Brine. Whether you are curing your bait whole or cut, all you have to do is simply put in your bait sparingly into a jar, Ziploc bag or a Tupperware container. I would suggest using some kind of rubber/latex gloves before working with the brine to keep your hands clean. Once the bait is set into your brining container of choice, fill up the container with one of the seven colours of Fire Brine you choose to brine your bait in, and let it brine in the fridge for eight hours to a day. If you are looking for more colour saturation to your cut-bait, brine your bait for longer than fifteen hours. Once you have brined your cut-bait to the desired colour saturation, you are now ready to rig up your cut-bait for your next outing. You can either take your Fire Brined cut-bait out in the same container it was brined in, or you can package your Fire brined cut-bait into Ziploc bags to prevent any spills in the boat when out on the water. There are many ways to rig and present your Fire brined cut-bait. The most common way Lake Ontario offshore anglers rig their cut-bait is by using teaser heads. Teaser heads are used to hold your cut-bait, add action, and add extra colour to your cut-bait presentation. Rhys Davis, John King, Big Weenie Brand, and Dream Weaver are several examples of teaser heads that are commonly used by offshore. Flasher boards and spin-doctors play an important role with how you present your Fire Brined cut-bait. They are used to provide extra action when running your cut-bait in the depths of the blue zone. Big flasher boards are a key fish attractor, and can even become more deadly when multiple teasers are attached to the line above the teaser head. Hot Spot, Dream Weaver, and Pro-Troll are several examples of flasher boards and spin-doctors commonly used offshore. Whether you are running your brined cut-bait on the downrigger, or the copper and dipsy rods, your trolling speed is an important factor when trying to properly present your brined cut-bait. To get the best action and presentation with your cut-bait, you should be trolling your lines from 1.5-2.6 mph. If you troll any faster, or any slower, you will not get the best cut-bait action and presentation. A good way to test and see how your brined cut-bait works is to drop your line behind the boat at your desired trolling speed. A good presentation has a moderate to slow rotating flasher board, and the cut-bait on the teaser head behind it doing about the same rotational speed. However, some days the fish are more aggressive and they will not mind a faster trolling speed presentation. To make the best presentation out of your Fire Brined alewife, anchovy or herring, try to match the colour of your cut-bait accordingly with the colours of your teaser heads, flasher boards, and spin-doctors. Troll at the appropriate speeds and keep changing your Fire Brined cut-bait colour along with the rest of your rig if the fish are not cooperating. It shouldn’t take long for one of the rods on board to fire off! Being versatile is important if you want to dial the fish in quickly. Pautzke’s seven colours of Fire Brine are all proven fish-catching colours. However, many anglers, including myself, can be real picky when it comes to the colour of the bait we are using. Sometimes we as anglers feel that the colour is too bright, or it is too dark, or it doesn’t have enough colour saturation, or maybe it even has too much colour saturation. Be patient, there is a way to get that fish catching colour you feel most confident in. Natural Fire Brine is the perfect brine to experiment with if you want to get that exact colour saturation you desire. Snow showed me how he got the colours he wanted by adding different colours of food colouring into the natural Fire Brine. Over the last few weeks, he has experimented with many colours and they all are fish catching colours when matched accordingly with the rest of his rig. Do not be afraid to experiment! You can darken your saturation with coloured Fire Brine by adding more food colouring of the same colour to the product. This was just one of the many ways of experimenting using Pautzke’s Fire Brine. You can have the chance of creating a colour that boats more fish than other colours you are currently using. It is a great feeling when you are catching fish with baits you have added colour to on your own. Pautzke’s Fire Brine soaked cut-bait has been the ticket for catching big fish so far this year. It has been out-fishing other baits and un-cured cut-baits for anglers all across Canada and the United States. 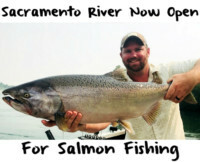 I think I hear Captain Mike Snow calling me for help since I have just finished putting this blog together at the boat. It’s time to get some fresh alewife ready for another few bottles of Fire Brine! I hope you guys have enjoyed this blog on one of the many ways of how to use Fire Brine for your cut-bait.